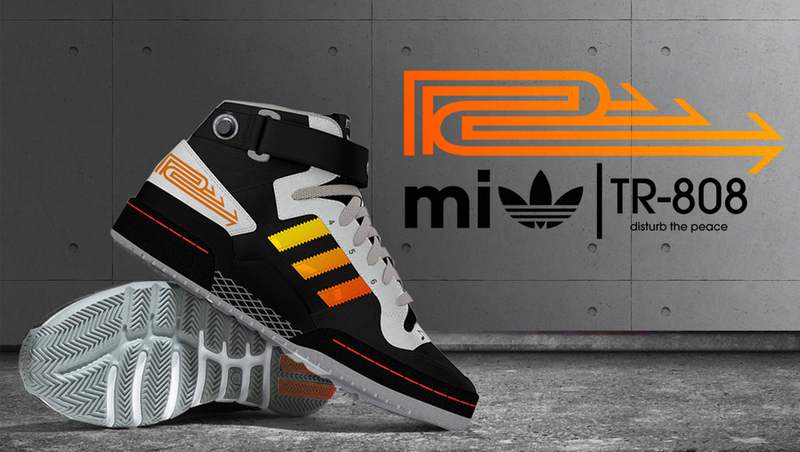 News : Mi Adidas TR-808 – Disturbing the Peace. 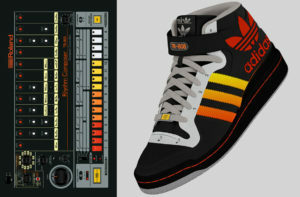 If you are into drum machines & Sneakers you are in for a treat. 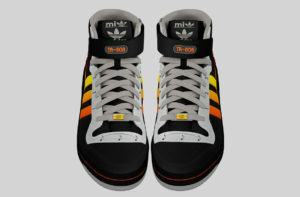 NYC based creative agency, Neely and Daughters have created a TR-808 inspired Adidas Sneakers with which you can create beats, no kidding… The name for this concept pair is Mi Adidas TR-808 (Disturbing the Peace). 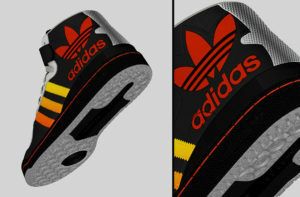 The shoe contains a volume control and six different pre-programmed settings. Now you can actually create beats ON THE GO 😛 . 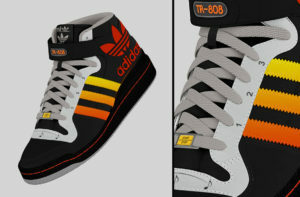 This design has not hit the production line yet. May be we should start a campaign to get them to start manufacturing. How much would you be willing to spend for a pair for these kicks?